United Way Bay Area’s “Believe to Achieve,” event kicked off on June 12th with a cocktail party featuring a keynote speaker at LinkedIn’s San Francisco headquarters held in an effort to inspire Bay Area companies and residents to give back to their community through volunteerism and support of innovative programs to end the cycle of poverty in the Bay Area. United Way Bay Area’s “Believe to Achieve” takes a beloved United Way tradition and combines it with partnership opportunities to create a fun, festive, and impactful summer of community support. 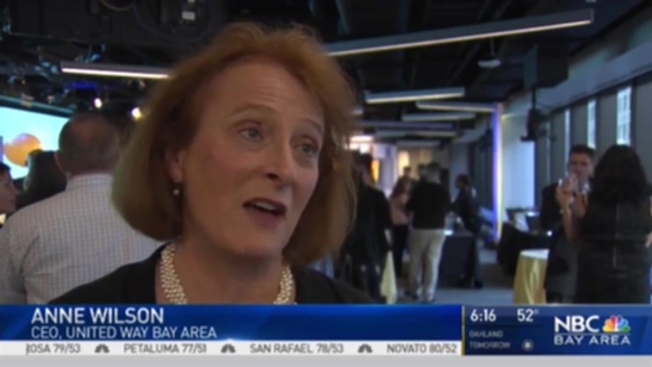 Partnering with NBC and Family Giving Tree, we will create the region’s largest effort to provide backpacks and school supplies for low-income students—benefiting youth through the Boys and Girls Club and UWBA’s SparkPoint centers throughout the Bay Area. On Saturday, July 29th, backpacks will be collected and assembled in a series of special events, culminating in the Achieve Event--a family and community celebration at Family Giving Tree at 394 West Caribbean Dr, Sunnyvale that will highlight the many volunteer accomplishments to date. This is an unprecedented regional effort to care for and support our friends and neighbors who are struggling to make ends meet. There are many ways to participate—sponsor Believe to Achieve, individual tickets, join the backpack drive, or simply contact us about volunteer opportunities in your area.